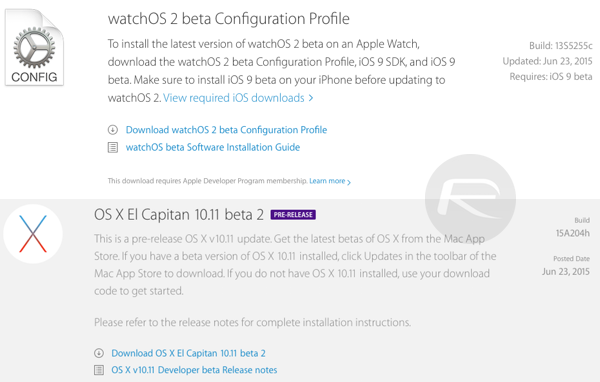 Apart from iOS 9 beta 2 download for iPhone, iPad and iPod touch, Apple has also released OS X 10.11 El Capitan beta 2 for Mac, and watchOS 2 beta 2 for the Apple Watch. Both new builds are available to download right now for developers enrolled in the Apple Developer Program. watchOS 2 is a huge update, and includes features like new watch faces, native third-party app support and a whole lot more. With beta 1 triggering complaints regarding stability and sluggish performance, watchOS 2 beta 2 arrives right in time to hopefully address those caveats. Check out our hands-on with watchOS 2 features here. OS X 10.11 El Capitan on the other hand is Apple’s attempt at focusing on performance, speed and stability, with a lot of under-the-hood tweaks packed into the release. The first beta saw the light of day just after Apple’s big WWDC 2015 opening keynote two weeks ago, with early adopters coming across some interesting changes behind the curtains. If you’re already running the first beta of watchOS 2 on your Apple Watch, then you’re in luck, as the OTA update can be downloaded straight away. Simply launch the Watch app on your iPhone, tap on General, then go to Software Update, and here you should see the watchOS 2 beta 2 download waiting for your approval. You will need to plug-in your Apple Watch to a power outlet during the update process. It is important to note that watchOS 2 is not downgrade-able to watchOS 1.x. 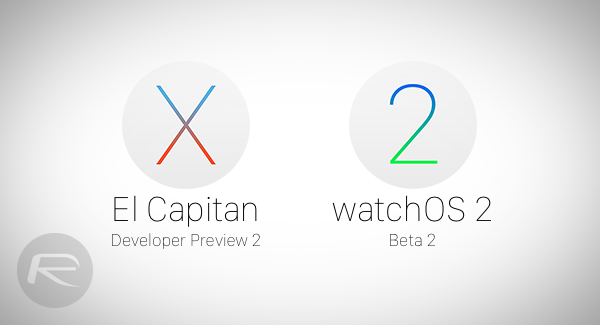 You can read more on this here: Downgrade watchOS 2 Beta On Apple Watch, Is It Possible?. You’ve been warned. Similarly, you can update to the second beta of OS X 10.11 El Capitan without much trouble. Simply launch the Mac App Store, click on the Updates tab up top, and after a few seconds the second beta update will pop up, waiting to be downloaded. If you’re new to the whole developer beta scenario, you will need to enroll yourself as a member in the Apple Developer Program, which will grant you access to a bunch of pre-release Apple software, including iOS 9, OS X 10.11 and watchOS 2.
watch os2 update doesn’t work. you can’t update it over the air and when you try with the config profile and launch the update section of the watch app it says the os is up to date. and its not..